Mr. Herencia has served as Chairman of Byline Bancorp and Byline Bank since June 2013. Mr. Herencia has served as President and Chief Executive Officer of BXM Holdings, Inc., an investment fund specializing in community bank investments, since 2010, where he led the recapitalization of Byline’s predecessor, Metropolitan Bank Group. Prior to BXM Holdings, Inc., Mr. Herencia served as President and Chief Executive Officer of Midwest Banc Holdings, Inc. and spent 17 years with Popular Inc. as Executive Vice President and as President of Popular Inc.’s subsidiary, Banco Popular North America. Mr. Herencia has also served as an independent director of Banner Corporation and its subsidiary, Banner Bank, since March 2016, and as Chairman of the board of directors of First BanCorp, and its subsidiary, FirstBank Puerto Rico, since October 2011. Mr. Herencia previously served as an independent director of privately held SKBHC Holdings LLC, and its two subsidiary banks, American West Bank and First National Bank of Starbuck. Appointed by President Obama in 2011, Mr. Herencia serves on the Overseas Private Investment Corporation’s board of directors. Mr. Herencia holds a bachelor’s degree in finance from Georgetown University and an M.B.A. from the Kellogg School of Management at Northwestern University. 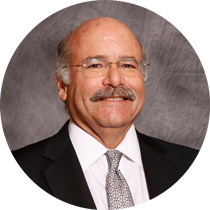 Mr. Cabrera has served on the Byline Bancorp and Byline Bank boards of directors since June 2013. Since retiring from McDonald’s Corporation in 2015, Mr. Cabrera has served as an advisor and consultant to Air Products and INDURA, Santiago, Chile, assisting management in identifying and remedying gaps in audit, treasury, governance and controls. Mr. Cabrera retired as Vice President and International Treasurer of McDonald’s Corporation in October 2015, where he held various executive roles for 21 years. Prior to his tenure at McDonald’s, Mr. Cabrera was a Managing Director and Senior Partner in the Latin America Group of Continental Bank and served as President of Continental International Finance Corporation, a holding company for Continental Bank’s international equity investments. Mr. Cabrera also serves on the board of directors of Institutional Cash Distributors, an Internet broker of money funds. Mr. Cabrera previously served on the advisory board of Unibanco, Banco do Investimento do Brazil. Mr. Cabrera holds a bachelor’s degree in business administration from Bradley University and a master’s degree in international management with a finance concentration from the Thunderbird School of Global Management. Mr. Kistner joined the Byline Bancorp and Byline Bank boards of directors in April 2018. Since retiring as Vice President, Chief Audit Executive at Northwestern Memorial HealthCare (“NMHC”), Mr. Kistner has continued to serve in a part time advisory role. Mr. Kistner joined MNHC in 2004 and held various positions in the internal audit department. 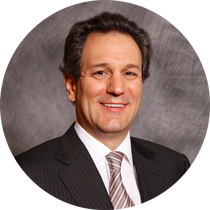 Prior to joining NMHC, Mr. Kistner spent 31 years at Ernst & Young, LLP. He was a tax partner for 19 years in the Chicago office. Mr. Kistner serves on the Board of Trustees of Loyola University of Chicago, where he is Chair of its audit committee, and serves on the finance and executive committees. He is also a member of the Board of Directors and Treasurer of Erie Family Health Centers, where he is Chair of the finance committee and serves on the executive committee. Mr. Kistner holds a bachelor’s degree in business administration from Loyola University Chicago, a master of management degree in finance from the Kellogg Graduate School of Management and is a Certified Public Accountant. 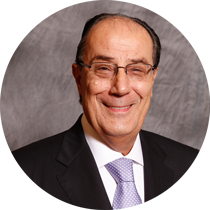 Mr. del Valle Perochena has served on the Byline Bancorp and Byline Bank boards of directors since June 2013. Mr. del Valle Perochena is also the Chairman of the board of directors of Kaluz, S.A., which is the holding company for Mexichem, S.A.B. and Elementia, S.A., and the Chairman of the board of directors of Grupo Financiero Ve por Más, S.A. (BX+). Prior to incorporating Kaluz and BX+, which are financial, industrial and construction enterprises, Mr. del Valle Perochena worked at ING Group as Executive Vice President of Insurance and Pensions in Mexico, and later as Director of New Projects of the direct banking business of the group, ING Direct, in Madrid, Spain. Mr. del Valle Perochena is also a board member of Pochteca Group and Grupo Empresarial Kaluz and Afianzadora Sofimex. Mr. del Valle Perochena holds a business administration degree and Masters in Management from Universidad Anáhuac. He also holds a Senior Management graduate degree at IPADE and a specialization in literature at the Iberoamericana University. Mr. Ruiz Sacristán has served on the Byline Bancorp and Byline Bank boards of directors since June 2013. Mr. Ruiz Sacristán is the Founder and Chairman of the board of directors of Banco Ve por Más, and is a board member of Banco Popular Español. He is also the Chairman of the board of directors of the Mexican Stock Exchange. Prior to founding and working for Banco Ve por Más, Mr. Ruiz Sacristán held various positions as Grupo Financiero Bital, including serving as its Chief Executive Officer for two years, and was a director at each of its portfolio companies. Prior to Grupo Financiero Bital, Mr. Ruiz Sacristán held several senior management positions in Banco Mexicano Somex and Citibank Mexico. Mr. Ruiz Sacristán was unanimously elected and served as President of the Mexican Banks Association from 2011 to 2013. Mr. Ruiz Sacristán holds a bachelor’s degree in business administration from Universidad Anáhuac and an M.B.A. from the Kellogg School of Management at Northwestern University. Mr. Rull has served on the Byline Bancorp and Byline Bank boards of directors since October 2016. Previously, Mr. Rull served as lead director of the board of Ridgestone Financial Services, Inc. and its subsidiary, Ridgestone Bank, prior to its acquisition. Mr. Rull co-founded Manchester Holdings and its wholly-owned subsidiaries, Detalus Advisors, a retail and institutional asset manager, and Detalus Consulting, a financial technology and financial advisory firm. Mr. Rull co-founded Manchester Partners, an investment and consulting firm where he serves as Managing Director. 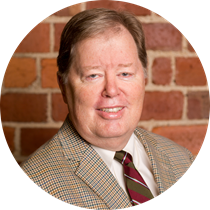 Mr. Rull previously served as Chairman and Chief Executive Officer of Bunker Hill Bancorp and its subsidiary, Boulevard Bank. He also held positions as Chairman of Atlanta Bancorporation and director of its subsidiary, Bank of Atlanta, and was the co-head of the capital markets division of Mark Twain Bank. Prior experience includes positions as Chief Investment Officer and Chief Financial Officer of United Postal Bancorp and as President of the Mortgage Division of Mercantile Bank, which acquired United Postal Bancorp in 1994. 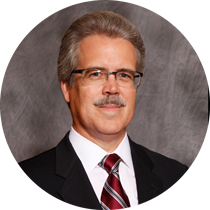 Mr. Rull holds a bachelor’s degree in accounting from Southern Illinois University Edwardsville and was a Certified Public Accountant in the state of Missouri from 1973 to 1996.